At the moment the course only offers 9 holes for play but work as already started on another 9 holes which are expected to be open by the end of 2015 together with the new clubhouse to take over from the temporary structure. 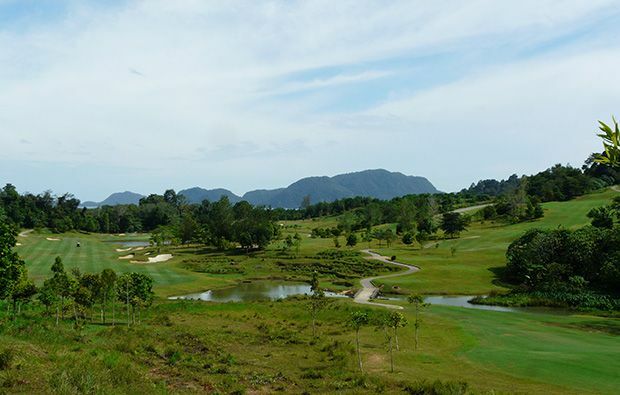 From the elevated opening tee box you get wonderful views over the surrounding countryside with the mountains and ocean as a backdrop. 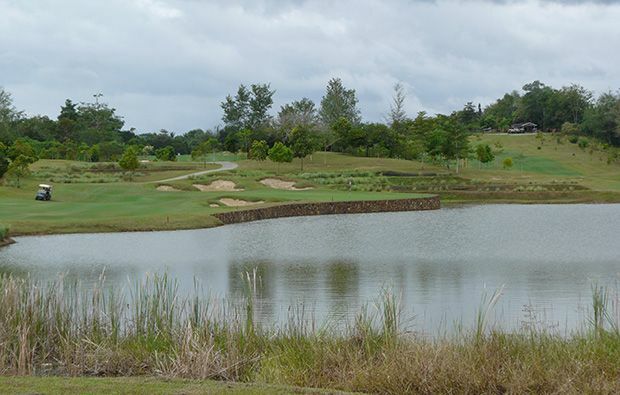 This is a par 5 with water along the left hand side and a green which is partially protected by another water hazard. 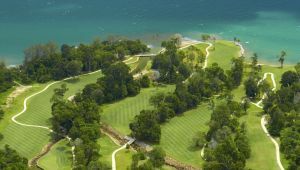 The par-3 second is one of the most beautiful and challenging holes to be found on any course playing 171 yards from the back tees with water all the way to a green protected by bunkers in front and surrounded by water on three sides. A few of the holes venture into deeper jungle so you need to watch your belongings from the ever-present monkeys who are always on the lookout for unattended food. 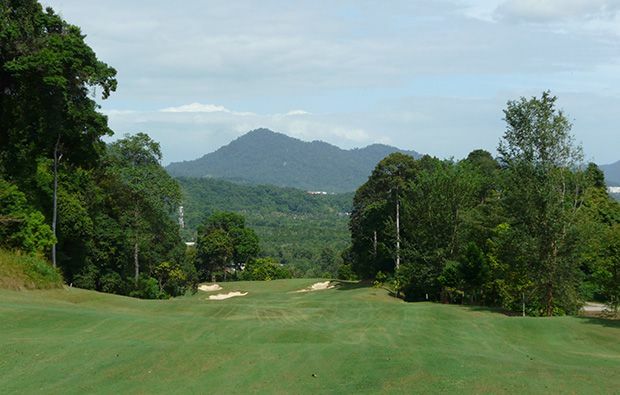 Great views from behind the 4th green towards the sea and also looking towards the mountains from the 6th tees. Another great view as you get out your driver on the elevated 7th tee box and launch it into the valley below. 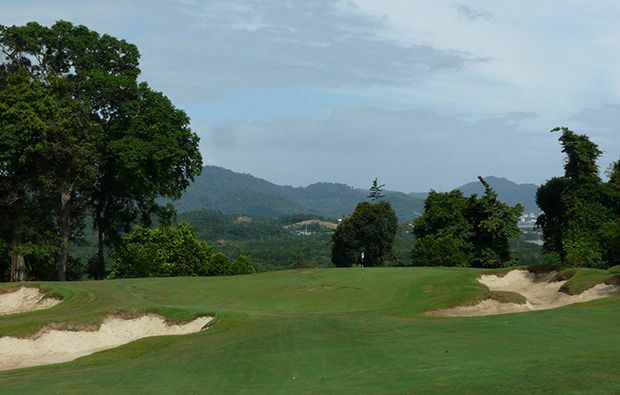 The 99 Degree East Golf Club offers great vistas from many of the holes and the fairways are bordered by colourful wild grasses and reeds with the occasional rice terrace. This is not an easy golf course but with several tee boxes to choose from there is something for everyone and this course will challenge both the single figure golfer and provide enjoyment for the weekend hacker and the designer has gained inspiration from some of the Scottish courses with some influences from his native Australia. 99 Degrees East Golf Club has an excellent driving range and practice facility and a restaurant. Also if you don’t want to bring your clubs you can hire them here as well as golf shoes. It may only be 9 holes at the moment with the superb design and dramatic setting will ensure a great day out. 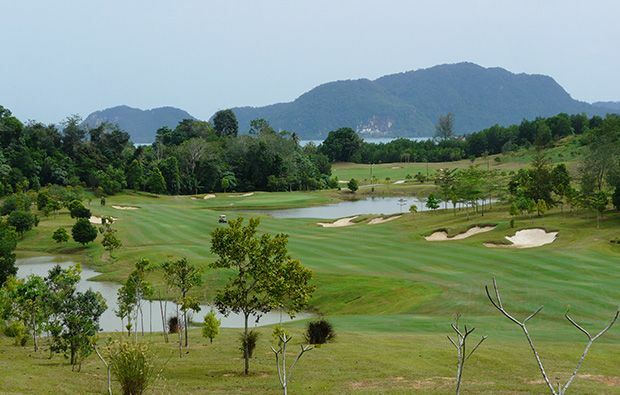 Golfsavers can book your chosen tee time at Langkawi 99 Degrees East Golf Cub quickly and easily using our simple booking engine which will display the exact green fee depending on the day and time and the number of players. 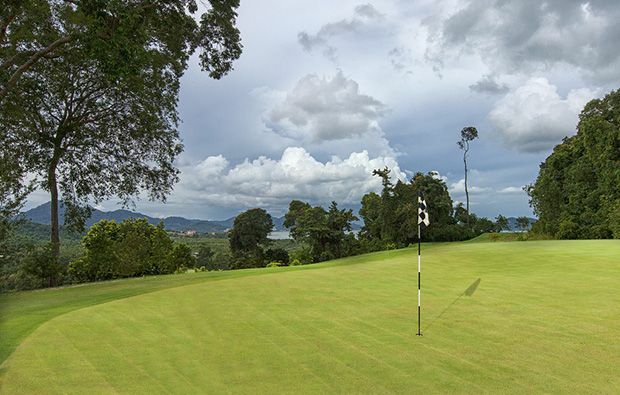 No restrictions here on the number of players and it is very unlikely that the course will be very crowded. 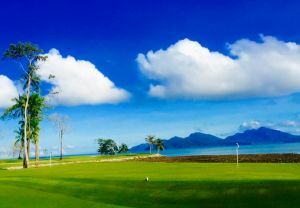 99 East Golf Club is not yet in our pool of Golf Courses for orders.